Considering an outdoor getaway this year with family or friends? 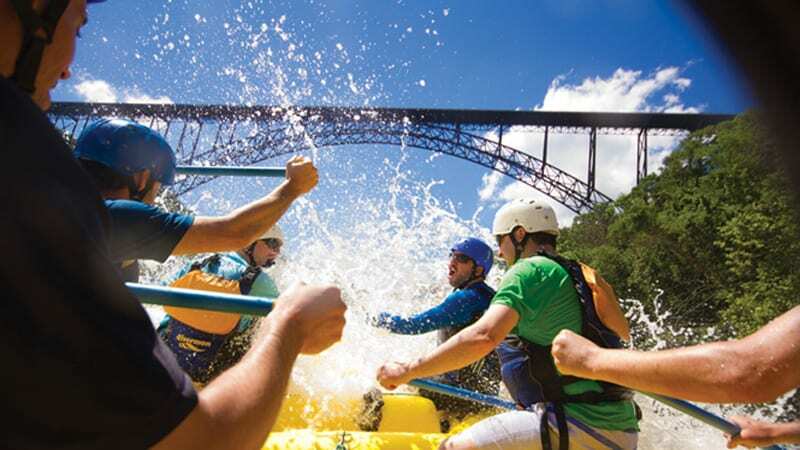 Then plan an outdoor river rafting adventure in beautiful West Virginia. From humble beginnings, the region has developed to include many outdoor recreational activities supported by resort-type services. 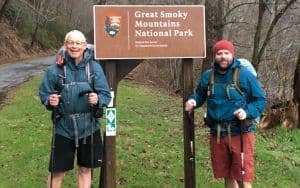 Recently, I was invited to spend four days at one of these resorts, Adventures on the Gorge (AOTG), and found the area to be remarkably developed since my last trip nearly two decades ago. Conveniently located near major interstates in southeast West Virginia, AOTG is within a single day’s drive for much of the United States, about four hours west of Richmond. A trip to AOTG will provide a healthy outdoors nature adventure, a bit of exercise and an experience with family and friends you will not forget. When the region originally opened to commercial rafting in the 1970s, it was largely untouched. For early rafters and kayakers, accommodations were limited to the tents they brought with them. With the arrival of the interstate highway system, access opened growth to a wave of visitors. Today, AOTG is one of many businesses that have sprung up in the area to service visitors. 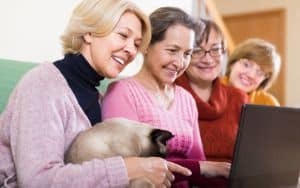 Guests have a range of housing options based on how many people are in the group, how much guests would like to spend and what creature comforts they wish to have. Accommodations range from simple tent campsites, raised platform tents, bunk houses and small, comfortable cabins, up to the resort’s beautiful new deluxe cabins with the comforts of home. In addition, many cabins come with their own private outdoor hot tubs. The campgrounds and select cabins are pet friendly. 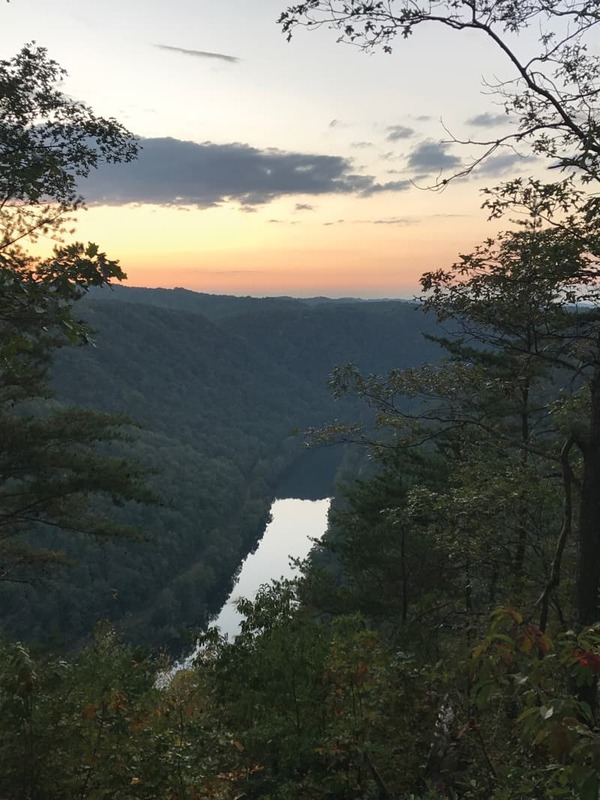 As you walk the grounds of the resort area, you’ll find yourself atop a gorge with beautiful sunset overlooks, to include the impressive New River Bridge. 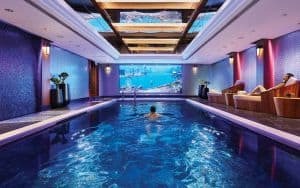 For downtime, there is a beautiful swimming pool with relaxing places to sit and simply read a good book. For those who must stay connected, high-speed internet is available. Best known for the great rafting and kayaking on the New River and the Gauley River, the resort offers a range of other activities as well. On water, take part in guided stand-up paddle boarding sessions on calm waters or access whitewater SUP playgrounds. 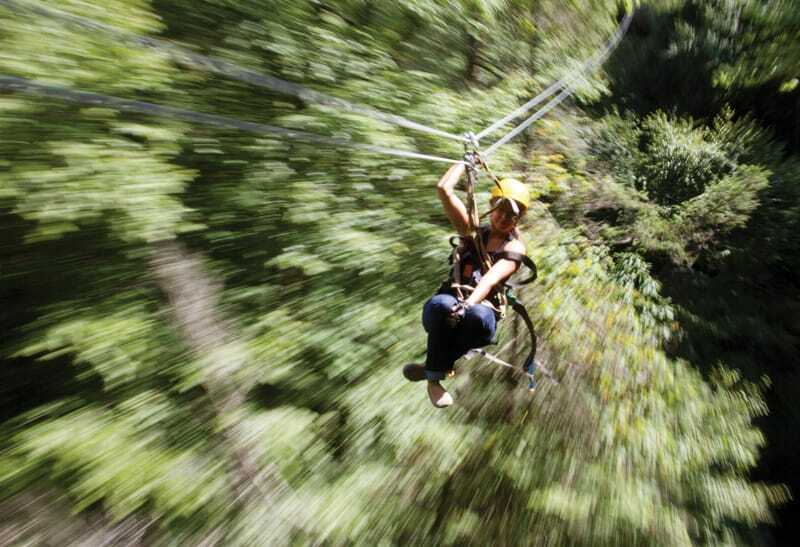 On land, enjoy the tree-top-canopy tour; a 1½-mile-long zip-line tour with four long, high runs (including the 3,150-foot-long Adrena-Line); and a fun ropes course. The natural cliffs provide rock climbing and rappelling opportunities. Trails provide endless miles of fun for mountain bikers and hikers. For those who like to bike but may not feel fit enough for a traditional pedal bike, AOTG rents QuietKat bikes that augment your pedaling with an electric motor. I found this bike remarkably easy to use. Then, of course, the area offers abundant fishing as well. None of these activities require you to be experienced or physically gifted. Even the rock climbing can be taken as a lesson with an expert instructor. As for the rivers themselves, the New River follows a beautiful gorge with rapids ranging from class I to class IV, and the Gauley River reaches peak with five separate class V rapids. Water levels are controlled by an earth dam managed by the Army Corps of Engineers, releasing a surge of water 22 weekend days in the fall to provide perfect whitewater conditions, a safer river and a longer season. Trips may be half-day to overnight. Depending on the time of year, the water may be cold; however, you will be outfitted with quality wetsuits and dry tops. Along the river, paddlers will see beautiful landscapes and have the opportunity to jump off rocks or simply drift down the river. One surprising treat on the overnight rafting trip is the wood-fired hot tubs along the river. Some would consider rafting to be dangerous, and in truth it certainly can be. Just as a pilot is trained, certified and experienced, so is the guide in every raft. Our remarkable guide, Jo-Beth Stamm, rafted professionally in Africa and Asia. She is a board member of the U.S. National Rafting Team and coach to a women’s team preparing to raft competitively in Japan. She also works part time as an emergency room nurse, is trauma certified and is an absolute great storyteller. She kept us safe while keeping us laughing between rapids. Our diverse boat had seven paddlers ranging in age from mid-20s to 70s. We were by no means athletic warriors, and few had any rafting experience at all. We learned to work as a team and had a few “swims,” but mostly by choice. No one in our boat or any other was injured. Hungry after a great day out on the river and longing for a good hot meal? You can grill over your own campfire, cook in your cabin or let someone else do the work at one of the on-site restaurants. Smokey’s Steakhouse offers multicourse meals in a venue so fine it is often reserved for formal wedding receptions. Bufflers Pizzeria provides breakfast, lunch and dinner options as well as delivery services. With more than 50 beers, Chettys Pub offers casual dining with live bands. If you choose the overnight rafting trip, which I highly recommend, dinner by the campfire is prepared by entertaining guides who could be featured in a comedy reality show. In the wilderness, you will feast on unexpected gourmet dishes like bacon-wrapped scallops, marinated beef, chicken, and delicious soups; all are amplified by an appetite stimulated by a day outdoors. Whether you are getting away with family, friends, your significant other or just on your own, a trip to the New and Gauley rivers will provide a memorable experience. Organize a group, set a date and go have some great fun you will always remember at Adventures on the Gorge. Originally from upstate New York, Kendall Castle has been a Richmond resident for the past two decades. His writing covers health care, with a focus on cancer care services; his experiences as a reserve officer, with articles appearing in military publications; and outdoor adventure.